Admiralty Charts and Publications - Marketed under the Admiralty brand, the United Kingdom Hydrographic Office (UKHO) product portfolio offers worldwide coverage in the form of 3,300 standard navigational charts and 220 navigational publications. In addition to these more 'traditional' products, it also produces a range of electronic charts known as ARCS (Admiralty Raster Chart Service) and a popular range of leisure charts and editions produced specifically for the small craft mariner. Admiralty Notices to Mariners - Download UK Notices to Mariners at this page. Bluewater Books and Charts - Over 35,000 nautical books and charts in stock. Electronic charts, cruising guides, nautical books, marine software, and more. Chart Reading 101 - Nautical chart basics. Chart Reprojector - Allows users to "re-project" digital NOAA nautical charts with this stand-alone application. Electronic Navigational Chart Handler - Provides the ability to simplify the use of electronic navigational charts (extension to ArcView or ArcGIS). Lidar Data Handler - Enables users to work with lidar data (extension to ArcView or ArcGIS with Spatial Analyst). Nautical Chart Viewer - Permits viewers to bring BSB-formatted nautical chart information into a GIS (extension to ArcView, ArcGIS, or Imagine). Digital Nautical Chart - The DNC is produced by the National Geospatial-Intelligence Agency (NGA) and is an unclassified, vector-based digital database containing maritime significant features essential for safe marine navigation. Initial data collection of the database is from a portfolio of approximately 5,000 nautical charts that will ultimately provide global marine navigation between 84 North latitude and 81 South latitude and supports a variety of Geographic Information System applications. Global Positioning System Primer - GPS, which stands for Global Positioning System, is the only system today able to show you your exact position on the Earth anytime, in any weather, anywhere. GPS satellites, 24 in all, orbit at 11,000 nautical miles above the Earth. They are continuously monitored by ground stations located worldwide. The satellites transmit signals that can be detected by anyone with a GPS receiver. Using the receiver, you can determine your location with great precision. GPS.gov - Official U.S. Government information about the Global Positioning System (GPS) and related topics. GPS Resource Library - Links regarding the Global Positioning System (GPS) and handheld GPS units, other GPS information sites, online Internet Mapping Programs, GIS (Geographic Information Services), Grid Overlays, DGPS, GPS resellers, GPS manufacturers, and radio modems for GPS use. GPS World Online - International monthly journal that features news and applications of the Global Positioning System, GLONASS, and related technologies. Institute of Navigation - Professional society dedicated to the advancement of the art and science of navigation. It serves a diverse community including those interested in air, space, marine, land navigation, and position determination. International Navigation Association (PIANC) - PIANC's object is to promote the maintenance and operation of inland and maritime navigation by fostering progress in the planning, design, construction, improvement, maintenance and operation of inland and maritime waterways and ports and of coastal areas for general use in industrialized and industrializing countries. Facilities for fisheries, sport and recreational navigation are included in PIANC's activities. 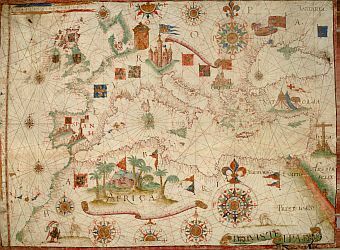 Latitude: The Art and Science of Fifteenth-Century Navigation - This site tells the story of how Portugese sailors and scientists invented latitude sailing and the science of celestial navigation as they tackled the South Atlantic in the fifteenth century. Local Notice to Mariners (LNM) - The LNM is the primary means for disseminating information concerning aids to navigation, hazards to navigation, and other items of marine information of interest to mariners on the waters of the U.S., it's territories, and possessions. These notices are essential to all navigators for the purpose of keeping their charts. Loran-C - Maintained by the U.S. Coast Guard. 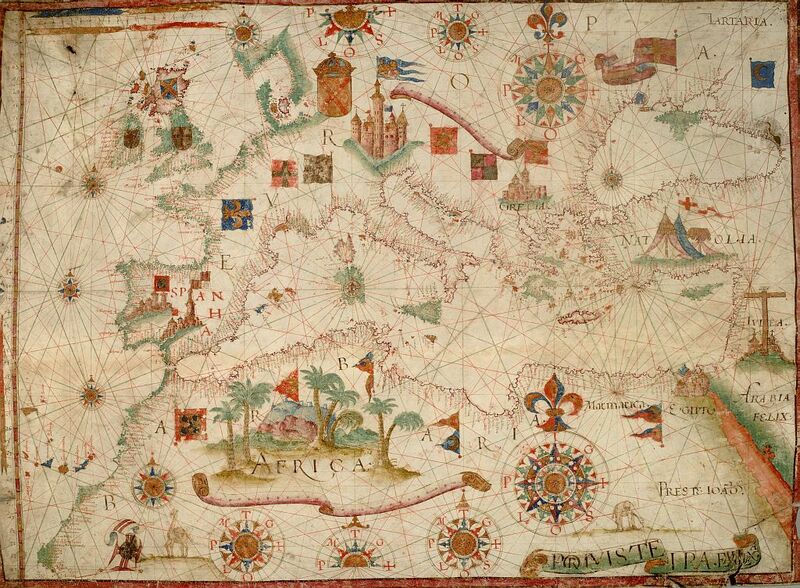 Lost at Sea - The Search for Longitude - Public TV's NOVA maintains this site. Maptech - Maptech's digital mapping business encompasses navigation software; digital, nautical and aeronautical charts; and topographical maps. It also produces paper marine chart and guide products. In the U.S., Maptech is the largest private publisher and distributor of paper and electronic raster nautical charts. Maptech offers several marine and land navigation software products that operate with its raster maps and charts. These navigation software products range from simple map and chart viewers to sophisticated marine navigation software systems. Marine Traffic - Vessel positions tracking based on AIS data. Real-time ship locations and port arrivals departures. McGill Maritime Services - Specialists in charts and nautical supplies. National Imagery and Mapping Agency (NIMA) - Collect, evaluates and compiles worldwide navigational data for dissemination by early warning radio and satellite broadcasts, hardcopy publications and electronic access to data files. Nautical Charts - The Canadian Hydrographic Service is the Canadian government agency responsible for the production, sale and maintenance of official marine navigation charts in both paper and electronic versions, and nautical publications including sailing directions and the Canadian tide and current tables. NOAA Nautical Charts and Publications - Since U.S. charts are in the public domain and are not subject to copyright law, many private companies produce them in paper and digital form. NOAA also offers their own digital versions of their paper charts. NOAA Office of Coast Survey - U.S. official chartmaker. The oldest U.S. scientific organization in the U.S. manages the National Oceanic and Atmospheric Administration's nautical chart data collection and information program. Also see NOAA Electronic Navigational Charts (ENCs). NOS Data Explorer - Offers access to many products, including bathymetry, coastal maps, environmental sensitivity index maps, aerial photographs, and more. OceanGrafix - NOAA-approved nautical charts. Pangolin - Offers yacht reports, nautical books, offshore navigation, radio communications, heavy weather advice and marine software for owners of cruising boats, yachts and all ocean going vessels. Prostar Publications - Publishes technical publications for the commercial marine industry and "How To" books geared to recreational markets, including its own edition of all nine volumes of the U.S. Coast Pilot utilizing data provided by the National Ocean Services, NOAA, Ports and Services, Harbormasters and the U.S. Coast Guard. This series offers a wide range of information for commercial arid recreational navigators of the U.S. coastal, Intracoastal and Great Lakes waters. Each edition contains the latest information regarding navigation, port, pilotage, routes, towage, traffic separation schemes, bridge and cable clearances anchorages small-craft facilities, dangers, weather, currents, tide and water levels, and all Federal regulations applicable to navigation. Prototype Global Shoreline Data (Satellite Derived High Water Line Data) - The NGA Office of Global Navigation, Maritime Division is in the process of developing a new version of World Vector Shoreline (WVS) and in support of this effort has acquired a prototype Global Shoreline Data set. This new shoreline is an approximation of the High Water Line; it is not a Mean High Water Line since the source data have not been tide coordinated. As segments of the prototype version are accepted from the contractor, these segments are being made available in the interest of supporting outside users who may have immediate application for these higher resolution data. Radio Technical Commission for Maritime Services - A non-profit scientific and educational organization, focusing on all aspects of maritime radiocommunications, radionavigation, and related technologies. Reed's Almanac - Reed's publishes three separate volumes covering navigation of coastlines from Nova Scotia to Mexico; Alaska to Baja; and the entire Caribbean basin. Reed's also publishes Reed's Nautical Companion, a highly regarded reference on navigation, seamanship, and everything else a captain needs to know: radio communications, first aid, emergencies, weather, etc. Royal Institute of Navigation - Unites in one body those who are concerned with navigation. Embraces subjects traditionally associated with navigation such as astronomy, mathematics, cartography, electronics and information technology. Safe Navigation, Inc. - Maintains high stock levels of charts and publications serving the leisure cruising and corporate shipping industry. Trimble: GPS Tutorial - This tutorial is designed to provide a basic understanding of the principles behind GPS. U.S. Notice to Mariners - Provides timely marine safety information for the correction of all US Government navigation charts and publications from a wide variety of sources both foreign and domestic. To ensure the safety of life at sea, the information published in the Notice to Mariners is designed to provide for the correction of unclassified nautical charts, the Unclassified NGA/DLIS Catalog of Hydrographic Products, United States Coast Pilots, NGA List of Lights, USCG Light Lists, and other related nautical publications produced by NGA, NOS and the USCG. United Kingdom Hydrographic Office (UKHO) - The UKHO is a UK government Trading Fund and part of the Ministry of Defence. Its primary activity is the provision of navigational products and services to the Royal Navy and the merchant marine in compliance with Safety Of Life At Sea (SOLAS) Regulations. Waterproof Charts - Popular waterproof charts designed for recreational boaters, fishermen and divers. Beautifully printed on synthetic paper. Use them on deck in any weather rain or spray. Accurate, used by Coast Guard and Navy, simple to use with GPS. Foldable and easy to hold and store. Weems and Plath - Traditional marine navigation instruments. West Marine Navigation and Charts - See Navigation and Charts, Almanacs and Tide Tables pages. World-Wide Navigational Warning Service (WWNWS) - WWNWS is a co-ordinated global service for the promulgation of navigational warnings. WWNWS is established through the joint efforts of the International Hydrographic Organization (IHO) and the International Maritime Organization (IMO). These navigational warnings form part of the Maritime Safety Information (MSI) and are broadcasted via NAVTEX and SafetyNET.